The tittle-tattle in Stourbridge bus station is about how they’ve been stood waiting for the 9 for “over 20 minutes” (frequency: every 7/8 mins). It’s a devil of a route. An hour’s ride into Brum, and anything & everything can delay it. The intending ladies are perusing the electronic display board, which is seemingly counting down 2 vehicles almost together. “They’ll probably turn up together”, huffs one. “More than likely”, replies the other. And then, right on cue, both appear. One after the other. Then a third appears. The first one disgorges it’s passengers, then there’s a driver changeover. Then it disappears. No words or explanation. The one directly behind looks more promising – until that one’s pilot presses a button, “Not in Service” appears, and an audible sigh is created in unison from the growing masses. The third of the trio has parked up around the rear of the bus station. Finally, one of the previous vehicles (with new driver) appears, and we’re off. This isn’t a typically uninformed rant about buses “running together in threes”. I understand entirely the challenges this route faces. I also appreciate running boards, driver hours, etc. But what I DO find frustrating is the age-old lack of communication with waiting passengers. NXWM had an Inspector lurking. He was sorting things out with the buses & drivers. No problem with that. There was also a Network West Midlands tabbarded Bus Station Manager, complete with clipboard in view. Again, I know his job isn’t to get involved in the minutiae of NX bus operation – but it’s what people see. Two officials, three buses, twenty minute gap in high-frequency service…and not a peep out of anybody. These feelings linger. Long time. For all the good things operators do, the side is often let down by lack of attention to detail on the very simplest of things. I know the general public can be trying at times, but all it would have taken in this instance would have been a ten-second “we’ll have a bus with you in the next couple of minutes – they’re being delayed by <whatever the issue is>. All the research shows that passengers feel much better about delays if they’re kept abreast of what’s going on. That’s rarely possible easily out on the route (unless you’ve got a smartphone and an effective Twitter team) but we can surely do better in bus stations, where there are human officials in possession of the facts. It’s not always the buses – it’s the communication that let’s us down. The “new, improved” Centro (which we can’t call them anymore) – “WMCA – West Midlands Combined Authority” has put out a press release declaring that it’s got plans for coping with upcoming “anticipated congestion”, due to a series of infrastructure work. Not that we should be ever-so-slightly cynical of this (it was released on a Friday afternoon, after all – when Greater Birmingham regularly descends into gridlock hell as it is) – but where is the plan to deal with the existing apocalypse? David Jamieson – the Police & Crime Commissioner for the West Midlands – naturally welcomes this, to…”ensure our roads keep flowing”. He’s obviously never caught a bus up the Hagley Road after 5pm. We await the election of the “Metro Mayor” later this year, to see if congestion – and the meaningful tackling of it – really is on the agenda…. Run Transport Services like John Lewis? The Tory candidate for West Midlands “Metro Mayor”, Andy Street, reckons that he’s learnt a thing or two from his days running John Lewis. Suggestions abound that all sorts of local services could be run by “co-operatives”, in a not-dissimilar way to his old store empire. The Times reports suggestions such as council care homes and public transport providers could be spun out in a John Lewis-style operation, should Mr Street emerge victorious. It’s an interesting thought. Whilst the upcoming Buses Bill doesn’t appear to be blowing any hint of an ill-wind around the West Midlands, what might “Mr John Lewis” have up his sleeve for public transport in these parts? And would bus-operating staff on the front line feel more enthusiastic if, like John Lewis staff themselves, they partly owned the business? I still hear the occasional lament from bus drivers of the time that West Midlands Travel was “proudly employee-owned” (even though plenty of them did rather well with shares, etc when they merged with the mighty National Express all those years ago). I suspect it’s little more than the usual politicking from an electoral candidate, trying to catch the eye of the voter. Whoever wins the Metro Mayor contest, traffic congestion should be right up the top of the list of things to tackle in the West Midlands. Ken Livingstone in London was brave enough to introduce the radical Congestion Charge – will whoever wins here tackle it head on? Brum is also in the firing line for air quality. It’s had a dressing down from Brussels for the state of it’s environment, along with several other urban areas. The talk on the Clapham Omnibus (and the Selly Oak one, around here) relates more or less to a two-fingered salute to Johnny Foreigner, now that we’re going to make a success of Brexit (according to Mother Theresa). Of course, the irony of folks sitting in their personal tin boxes in endless miles of traffic jams blaming “dirty buses” for all of our ills isn’t lost on the BusTracker, but there’s uproar from the local taxi trade, as they’ve been told to clean up their act – actually just like the bus industry has been doing in recent years. This, though, isn’t great for buses. Although Birmingham is pushing on with it’s Clean Air Zone (and consequent much-improved buses), the media headlines of bus users being 7 or 8 times more likely to be exposed to harmful fumes than motorists, and a historic viewpoint of buses spewing out black smoke (which is rarely the case these days) all add to a negative feel for those of us on the top deck. It feels like the bus industry isn’t in a great place at the moment – maybe a concerted effort to spell out the facts easily and positively is in order. Plus hopefully a meaningful effort to put the bus at the front of the queue from whoever wins the Metro Mayor contest. That bleak mid-winter time after Christmas usually heralds the annual bus fare “revision” in the West Midlands. For “revision”, read usually “increase” – although in more recent times, certain fares and tickets have either remained frozen in price or actually come down. That doesn’t usually stop the carping on social media and local newspaper letters pages though. 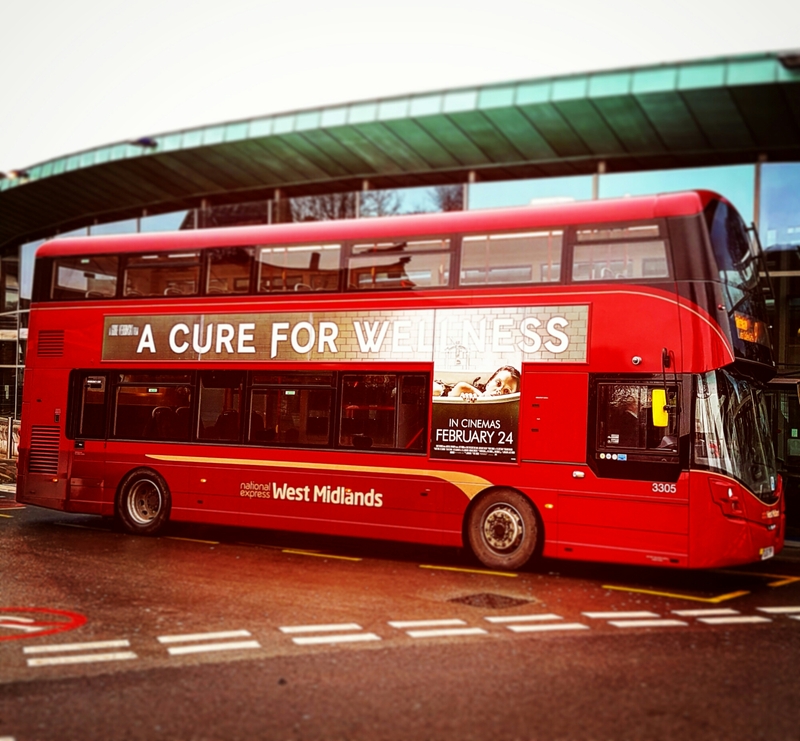 Despite the West Midlands urban area being one of the cheapest spots in the UK for many years to use buses, perception appears to be nine-tenths of the thought police. You can always bank on a few petrol-heads regaling their back-of-a-fag-packet calculations that supposedly “prove” driving their gas-guzzler is still cheaper than using the bus (despite proper research that tells them it..er..isn’t), as well as some local Councillor who needs to shore up their percentage of the vote for upcoming local elections – despite photo-bombing the scene when the operator has invested in a few hundred-thousand of new kit. Ah. Such is life…. The price of using buses is a debate for all of us. Well, apart from the lucky souls who have concessionary passes. Mobility seems to be an ever-increasing issue for everyone. We’re all moving from A to B to C, etc. But perceptions of “value for money” loom large on those Transport Focus research results. I might live in the West Midlands, but I’ve bussed it around huge parts of the British Isles – and I can tell you that we’re cheap around these parts, compared to elsewhere! But that doesn’t always relate to people’s overall feelings. If the bus has empty bottles rolling around on the top deck, the windows etched, and it’s stuck in the same traffic as everyone else is, that “cheapness” can quickly evaporate. Leaving to one-side for the moment, the endless discussion about needing more bus priority, what about the price you pay to “go your own way”? (as Network West Midlands’ recent advertising strapline goes). Despite my protestations, friends and colleagues regularly tell me that the bus is “too dear”. The motorists do the aforementioned “fag-packet” calculations, others tell me they’re either confused or “I wouldn’t pay that”. Actually, those who ARE regular bus users don’t normally wax lyrical at me about the price. Plus, I’ve always been convinced that offering “bargain basement” bus fares isn’t the whole story to getting more people on board. Nevertheless, we live in a price-conscious society like never before. “Bargain-basement” really isn’t everything. At my local hyper-shopping centre Merry Hill, I often witness 2 or 3 people getting into a taxi next to the bus station. Now, there is little doubt that a taxi is more expensive than the bus, but the calculation has obviously gone on that, split between them, it isn’t a bad alternative, given they haven’t got to wait for the bus (that might be stuck in traffic), and it’ll take them to the front door. The bus could be 50p – but would that be a game changer? Also, we await, in the Black Country, the impending arrival of Uber. Next door, in Greater Birmingham, the Uber cars are ubiquitous. I’ve tried them. Yes, they’re still significantly more expensive than the bus, but… the same calculations as our Merry Hill shoppers may increasingly be coming into play. When I tried it, it was simplicity itself. It was even fun! The little map shows the cartoon Uber hurtling towards my location in real time. Within minutes, it’s there. No fuss. No money changes hands, as I’ve linked the app on my phone to my bank account. I’m not dropping physical coins into a 1970s-style metal vault on the bus. And it’s getting me from A to B via any which way is quickest. You can clearly see the attraction. The big danger for the bus operators is if and when the price generally comes down to a ball-park bus ticket figure. It doesn’t have to match it (otherwise the bus operators are in trouble! ), but if it’s where people start to make serious decisions about whether to Uber or bus, it’s reckoning time for the bus folk! Of course, the most forward-thinking of the bus folk have their thinking caps on. Brian Souter has been warning of this very thing for a while now. Stagecoach’s “Little & Often” high-frequency minibus affair in Ashford is interesting, not so much for it’s “back to the future” idea of 1980s minibus networks, but it’s attempt to say “you don’t need Uber around these parts”. It’s laying down the gauntlet. And the whole bus industry is watching with interest. Likewise, Alex Hornby at Transdev has a bus route with vehicles fitted with Satnavs which take the least-congested route on one of his services. Of course, there’s comparatively few examples of where you could do that elsewhere, but it shows that the top brains are thinking outside of the box. It’s “adding value”. Which brings me onto something going on in my native Black Country. This week has seen the launch of a cheap area zone ticket for Dudley & Sandwell (Sandwell being that mythical place where you won’t find an actual town called “Sandwell” – but the locals know what’s what). So what, you might say? Despite the West Midlands being cheap as it is, National Express West Midlands reckons people think it’s still too expensive in this area, if they’re only making local trips. I’d agree with those comments (if not the reality), because it’s what I’ve heard many times before. So, if you’re only “staying local” in Dudley & Sandwell, you can get a day ticket for only £3 (compared to £4.60). A single is £2.40, so for some people, this is going to be really good value. For the company, it’s picked up some really positive press, and it’ll be interesting to see how much effect this has. Will people really see this as a “game changer”? Weekly and Monthly tickets are imminent. It also shows a de-regulated, private operator at their commercial, swashbuckling best. Able to respond to the market quickly, and effectively. Would you get this inside the dead hand of a franchised operation? Intriguing is also a word to consider. Why do this? Why now? Is it meant to head-off any challenge for local trips when Uber does finally hit the scene? Is it in response to cheap offerings from other local rival bus operators (such as Diamond? I think not, personally – their network is much smaller), or is it a response to the market generally that sees great chunks of the bus World in a bit of a depressed state at present? Will it stimulate those “value for money” scores on the doors? It wouldn’t be me unless I picked some holes in it. What will the “levels of abuse” be like? The “border” for this on the east towards Birmingham is the M5 Motorway. Are we going to witness mass “chucking off” ceremonies on the Motorway bridge stop on the 9 in Quinton towards Birmingham? What happens when they inevitably make it to the bright City lights, then try and board to come home? I’ve witnessed enough “rugby scrums” on Colmore Row in the City Centre to consider that the poor old driver is going to have her/his hands full “refereeing” that lot! Compare this to your Uber app. You type in A to B. It quotes you a fare (albeit that fare can change depending on demand / time of day) – and that’s it. OK, people are used to this “multi-choice” in other parts of their life (like choosing your car insurance provider or mobile phone tariff) but for my money, the jury is out on whether so much choice is such a good thing. Look at the negative press the railway industry gets over it’s fare combinations). But it would be remiss of me to not at least wish the cheap Dudley/Sandwell Zone tickets a fair (“fare”?) chance of succeeding – if only to see if it really does attract more paying “bums on seats”. One thing is for certain – the bus industry needs keep on looking outside of the box if it is to remain a true player in 21st-century mobility.